Accidents are often life-altering events. If you have been in an accident and suffered injuries due to negligence, David Azizi is your goto Moreno Valley personal injury lawyer. He will seek the maximum compensation for your injuries all the while being compassionate to your situation. Having been established leader Southern California for 21 years, we are able to use our resources to build a solid case for you. Contact us today at 800-991-5292. There are many questions that can be asked when it comes to a specific type of injury or accident. Contact our free consultation lawyers today to get answers to these questions and more. 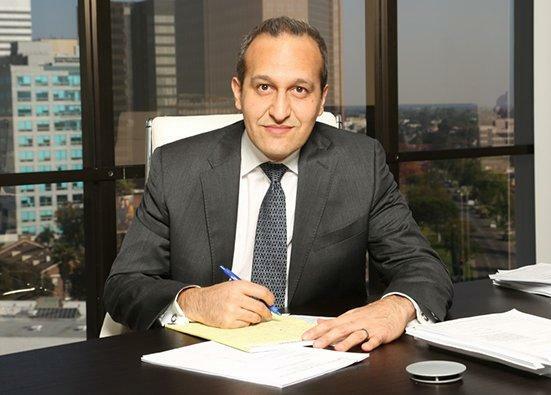 David Azizi is a successful and well-known personal injury lawyers in the Los Angeles and Moreno Valley areas. He has over 21 years of experience and has won over a total of $55 million in compensation for his clients. Early in his career he was distinguished as a Rising Star Super Lawyer. Today, he is consistently honored as a California Super Lawyer. He has also been named as one of the top 20 personal injury attorneys in Los Angeles by Expertise.com. Moreno Valley is located just to the east of Riverside. Some highly driven roads in this part of Southern California include Interstate 215 and US Route 60. Other roads are Ironwood Avenue, Cactus Avenue and Perris Boulevard. With a large number of California drivers hitting these roads every day, there are going to be car accidents. If you or a loved one has been injured due to the negligence of another driver, contact the Law Offices of David Azizi today. We can seek the maximum compensation for you. Premises liability cases, also known as slip and fall and trip and fall cases, are often thought of as some of the most difficult to win. At the Law Offices of David Azizi we are confident we can win any case we take. We are so confident that we are willing to work on a contingency basis meaning we do not get paid until we win your case. If you would like legal representation from some of the best Moreno Valley slip and fall lawyers contact us today at 800-991-5292. Although Moreno Valley is not on the Pacific Ocean, there are still many beautiful roads in this part of Riverside County. A large number of motorcycle clubs and riders will come to Moreno Valley to enjoy time on the open road. Unfortunately, there are scenarios in which a motorcycle driver will get into an accident at no fault of their own. If you have been injured in a motorcycle,car, or truck accident, contact us now. With US Route 60 and Interstate 215 running through and around Moreno Valley, it should come as no surprise that a large number of big trucks go through this area. When a big rig truck gets into an accident, it is often the case that it causes a multi-car pileup resulting in serious injury. If you have been injured due to the negligence of a truck driver, contact us today. If you would like to speak with David, contact our law offices today at 1-800-991-5292 for a free case review. David has a 98-percent success rate. He will work to get you the maximum compensation. You pay nothing until we win.